The disadvantages of African trade integration: is Brexit to blame? By Sara Núñez-Évora and Sarah Brewin. On 8 July 2016, following 12 years of negotiations, Tanzania announced that it will not be signing the European Union (EU) – East African Community (EAC) Economic Partnership Agreement  (EPA) citing the United Kingdom referendum result on leaving the EU as one of the reasons for its decision. Tanzania’s Brexit excuse was widely reported in the regional media, which cited the EU’s-post Brexit “turmoil” as Tanzania’s rationale for backing out of the deal. However, Tanzania’s stated reasons for its about-face were broader than the Brexit, and included concerns over de-industrialization resulting from broad trade liberalization and EU agricultural subsidies, sanctions against Burundi, and a range of concerns over the EPA rules regarding technical issues such as safeguards, cumulation, and export duties. The Brexit and Burundi arguments are the only ‘new’ factors cited by Tanzania; all of the others have been known entities throughout the long negotiation process. The Brexit argument in particular has served as a convenient mask for the true reasons for Tanzania’s decision to scupper the EPA; being its long held discomfort with the regional integration project, and its attitudes towards development strategies which differ from that of its EAC neighbours. The result prompts concerns not only for the future of the EPA, but of the EAC itself. To many, Tanzania’s decision to refuse to sign the EPA comes as no surprise. 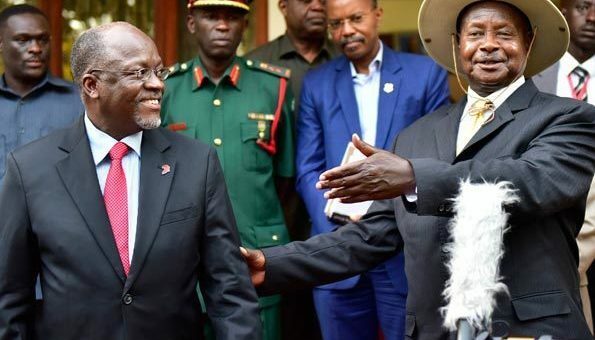 Of all EAC partner states, Tanzania has always been the one dragging its feet on negotiations regarding both political and economic issues while providing no alternative direction. Tanzania has conveyed the impression that it has no intention of moving forward on certain issues on the regional integration agenda. In addition, Tanzania is an active user of non-tariff barriers that delay or even block the movement of goods and services across the region. This attitude led to the frustration of those EAC partner states that do consider regional integration a priority. Consequently, Kenya, Rwanda and Uganda met in 2013 to discuss cooperation and development in the region, and created the Northern Corridor Integration Projects initiative that aims at fast tracking the implementation of EAC projects. Thanks to this initiative, within these three countries citizens can travel with their national IDs, there is a single tourist visa, and roaming calls are charged as local calls. The election of Magufuli as the President of Tanzania in November 2015, with his agenda of zero corruption and good governance, came as a fresh hope for change in Tanzania and better diplomatic relations with neighbouring countries. Despite this, there have not been any substantial changes in Tanzania’s attitude towards regional integration. In fact Magufuli’s industrialization plan, which is a national priority, hints that the direction of his government will be increasingly protectionist and discriminatory, as opposed to facilitating trade and opening up its economy, posing an existential threat to the EAC project. To preserve the Customs Union, EAC Members States must approach internaltional trade agreements with third parties as a bloc. Tanzania’s refusal to sign the EPA has obvious implications for the regional integration process. This leaves other EAC Members with the dilemma of signing the agreement individually and abandoning the EAC Customs Union, or themselves abandoning the agreement with the EU. As the only developing country amongst the bloc, Kenya has the most to lose from this situation. Kenya is not entitled to preferential access to the EU market under the ‘Everything But Arms’ initiative. Rwanda supports its counterpart while Uganda is in favor of signing the agreement but as a bloc, and if this is not possible, exploring alternative options that minimize the implications on the regional integration process. Burundi is in a unique situation since it is subject to EU sanctions, and will only sign the agreement following the reestablishment of EU-Burundi relations. The signature of the EAC’s newest partner state, South Sudan, is not required until it completes its two-year accession period formalizing its membership. Concerned by the regional implications but at the same time wishing to comply with their political commitments to sign the agreement, Kenya and Rwanda went ahead and signed the EPA on 1 September 2016 in Brussels, hoping that other EAC partner states would follow. Subsequently, the EAC Heads of State Summit held on 8 September 2016 decided to delay the signing of the agreement to give more time to the remaining partner states to discuss their concerns. Despite the efforts to preserve the regional bloc, in early November 2016 the Tanzanian parliament voted unanimously against signing the EPA. This closely followed the filing of a civil suit in the EAC Court of Justice by Castro Pius Shirima, a Tanzanian legal professor, against the EAC Secretariat and all EAC partner states. Shirima argued that Kenya and Rwanda’s signing of the EPA “violated the letter and spirit of the EAC Treaty.” Shirima has sought injunctions preventing Rwanda and Kenya from ratifying the EPA, and the remaining partner states from signing it. The case was heard by the first instance vision of the EAC Court of Justice on 13 March 2017 and a judgment is still pending. Meanwhile the next EAC Heads of State Summit is scheduled to consider two reports on the economic implications of signing the EPA deal, which warn of deindustrialization, significant revenue loss, substantial reduction of industrial policy space, and the potential for divisiveness and the undermining of regional integration. Meetings to discuss these reports and attempt to resolve the Tanzanian concerns at a technical level have been scheduled but have not gone ahead, and it is reported that Rwanda and Kenya, having made their mind up on the matter, declined to nominate delegates to attend in any event. As such the EAC’s institutional architecture itself is exposing, rather than healing the rift, which has been thrown into stark relief by the EPA deal. Tanzania’s parliamentary rejection of the EPA, and its President’s likening of the agreement to another ‘form of colonialism’ that is ‘bad for Tanzania’, is arguably one of the largest cracks yet to appear in the EAC regional integration project. It is also one of the starkest illustrations of the underlying cleavages destabilizing the regional bloc; the fundamental and ideological differences between partner states regarding strategies for development, and the various importance of trade, industrialization and foreign direct investment. The EAC’s institutional framework designed to resolve these types of conflicts has so far been unable to do so. Tanzania’s unilateral decision to potentially destroy a deal, citing threats to its economic development, that Kenya and Rwanda see as so critical for their economic development, will be an enormous challenge for the EAC regional integration project to reconcile. Remember to keep in touch! Follow us on Twitter or visit www.tradepacts.com for the latest trade law news and advisory information on this and other topics on international trade and investment topics. Our experts are happy to respond to your questions! Sara Núñez-Évora is an Overseas Development Institute Fellow at the Ministry of Trade, Industry and EAC Affairs in Rwanda where she advises the Ministry on issues related to trade and regional integration. Sarah Brewin is an Australian-qualified lawyer with an MSc in international development from the London School of Economics. Sarah is currently a legal advisor and Oxford Policy Fellow in the Rwandan Ministry of Trade, Industry & East African Community Affairs where she provides legal advice on matters relating to trade, investment, competition and intellectual property. The view expressed in this post are of the authors only and do not represent the views of their employers. The EAC Heads of State Summit was supposed to take place on 6 April 2017. However, due to other national commitments Burundi was unable to attend and the Summit was postponed until further notice.